Given the sharp slowdown in sale of MHCVs, rising fuel costs, subdued truck rentals on account of overloading relaxations and tightening liquidity, SHTF has performed quite well. Now that liquidity situation has improved, possibility of further deterioration in operating performance looks low. However, the key factor would remain the ability to maintain current levels of growth, margins and credit costs in the light of slowing CV cycle and uncertain growth outlook. Hence, we adopt conservative approach and lower assumptions to AUM CAGR of 13% over FY19-21e, no improvement in margins or credit costs. In such a scenario, earnings CAGR gets reduced to 13% (19% earlier) and RoEs get capped at 16%. Valuations at 10x current earnings are surely attractive and hence maintain BUY with TP of INR 1,307 per share. While an earnings growth of 17% yoy in Q3 FY19 is healthy, that street may likely overreact to tepid disbursements during the quarter. However, it needs to be interpreted in the right context. Lower originations were not driven by liquidity challenges but by a transient moderation in new/used vehicle demand, purposeful calibration in new CV and business loans segments, increase in the lending rates and tightening of LTV and other underwriting processes across products and geographies. So, if the operating environment were to start improving, as is visible in the current month, then disbursements and asset growth will pick-up. 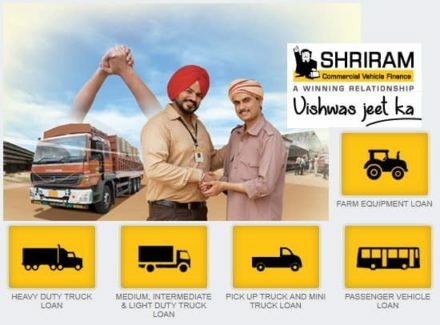 Availability and cost of funding is not a material headwind for Shriram Transport (STFC) from an earnings perspective. Believing that significant moderation in CV demand during Oct-Dec 2018 was a blip within a long-term upcycle, STFC expects an AUM growth of 15-18% in FY19 and 20%+ in FY20. Implementation of BS-VI norms will be a key growth trigger in the coming year, besides sustained strength in the rural economy and revival of infra and real estate activities. The company has deepened distribution in rural areas to capture market share.